You, on the other hand, having not seen a single episode of the show, are left wondering: "Ano bang meron dito sa Stranger Things na 'to?!" 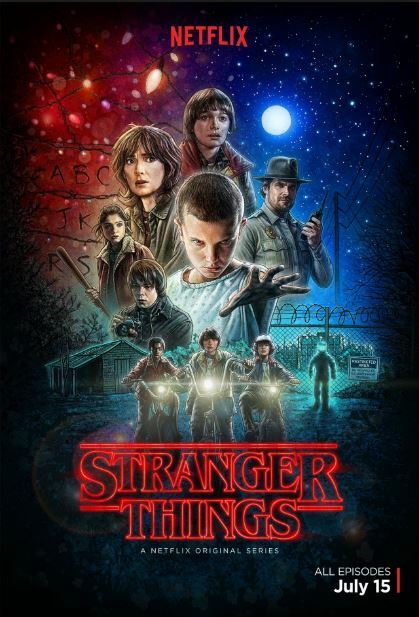 Stranger Things is a horror sci-fi drama on Netflix set in 1980s Indiana. A young boy vanishes mysteriously while a telekinetic girl suddenly appears at about the same time. With her powers, she helps her friends in their quest to find the boy. The local police chief and the missing boy's mom conduct their own investigation and discover something that none of them could have even imagined. Sounds interesting, right? But in our fast-paced Pokemon GO-obsessed world, every second counts. You wouldn't want to be wasting precious hours of your day watching something that you read about on Facebook only for you to find out four hours into it that it's not for you. So if you're on the fence and can't decide whether you should watch it or not, here are a few reasons that might convince you to do so. 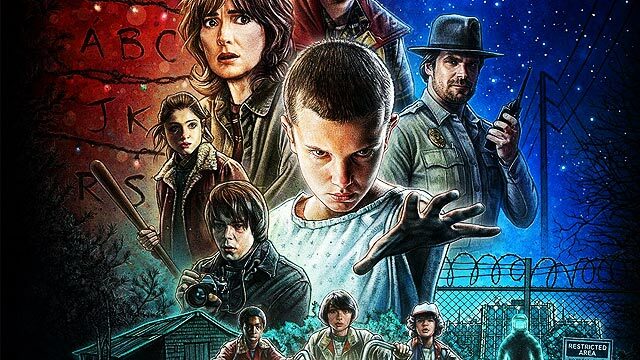 Created by the Duffer Borthers, Stranger Things is heavily influenced by the movies that we enjoyed watching when we were kids—E.T., Alien, The Goonies, Close Encounters with the Third Kind, and Star Wars. The twin showrunners-writers-directors mixed certain elements from all these films and made something absolutely new that pays homage to our favorite '80s hits. It gives you that warm feeling of nostalgia that you only get when you're watching something from your childhood. Even the most hardened man, like PNP Chief Ronald "Bato" dela Rosa, will find it hard not to find the cast adorable. The quartet of geeks at the center of the story were perfectly cast, with each of them delivering terrific performances. Every member of their gang had their own unique characteristics that makes them memorable. There's Mike (Finn Wolfhand), the skinny but headstrong de-facto leader of this band of outcasts. Lucas (Caleb McLaughlin), the realist who has the important job of reminding everyone how crazy things currently are. Wil (Noah Schnapp) is the weak but good-natured member of the group who disappears mysteriously. And then there's fan-favorite Dustin or "Duthtin," the comic-relief, who has a lisp thanks to the real-life condition actor Gaten Matarrazo has. Para siyang batang version ni Efren Bata Reyes pag nagsalita kasi wala siyang ngipin sa harapan. 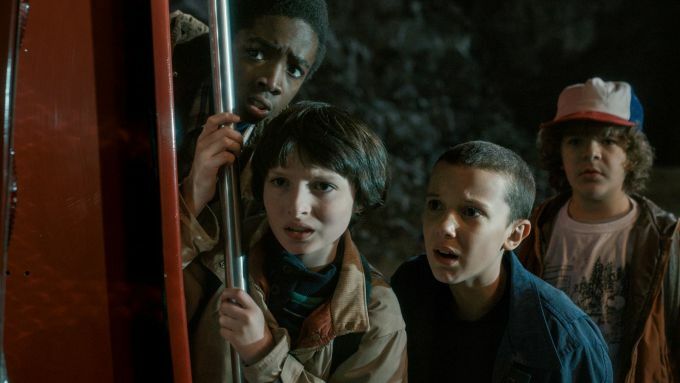 But the breakout star of this show is child actress Millie Bobby Brown, who plays "Eleven," the bald-headed girl with telekinetic powers that will help the boys find Wil. The show is praised for capturing the look and feel of the '80s, and a great deal of that is because of the soundtrack. Aside from the '80s songs that pepper each episode, the opening theme itself reproduced the distinct synth sound of the era. 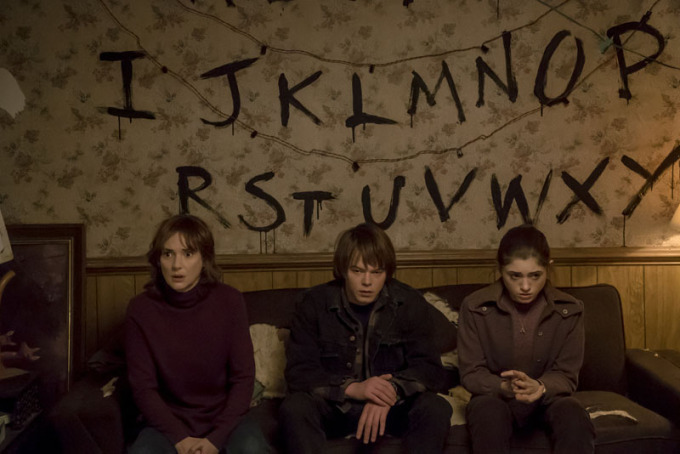 The soundtrack of Stranger Things brings back the memory of your Tito Boy's cassette tapes that he'd play full-blast on his mini-component during family reunions. But songs of VST and Co. and Hagibis are not part of the soundtrack for Stranger Things. Stranger Things has it's scary moments but as anyone who has seen the show will tell you, it's a different kind of scary. It's not the same as The Conjuring in the sense that it won't make you pee your pants and sleep with the lights on for the next two weeks. It's scary more like how Jurassic Park or Alien was scary. It might make you jump from your seat from time to time but it's not something that will haunt you in your sleep. The monster in the movie lurks in the shadows and you don't really get a good look at it. The show leaves it mostly to the imagination of the audience, the same way movies like Jaws did before. It's basically a horror movie for people who can't handle horror movies. As the ultimate throwback, Stranger Things got Winona Ryder to play the role of Wil the missing boy's mother. While this is not really a comeback, Stranger Things brings to fore Winona's immense acting chops, something her recent projects have failed to fully highlight. For those of you who are young enough to know who she is and is thinking to yourself, "Sino ba 'tong Winona na 'to at ano ngayon kung andito siya?" Well, think of her as the '90s version of Jennifer Lawrence. Siya yung crush ng mga kuya mo noon na pinapanuod nila sa VHS at Betamax. Back then she'd appear in critically acclaimed movies such as Tim Burton's Beetlejuice and Edward Scissorhands as well cult classics like Reality Bites. She was tabloid fodder even before the time of social media, what with her high-profile relationship with a then-young Johnny Depp as well as her run-ins with the law with her bizarre shoplifting incident. Winona Ryder is brilliant in Stranger Things as she plays the manic mother who is not sure if she's slowly descending into madness. 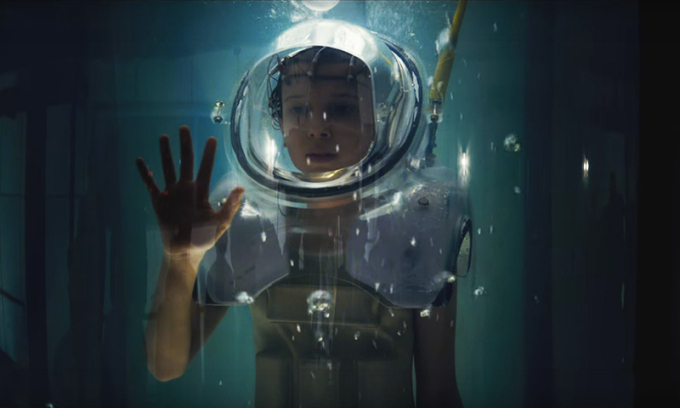 Stranger Things is now available for binge-watching on Netflix. Rey de la Cruz Jr. likes talking about films as much as he likes watching them. He runs www.reyview.org, a site that provides Filipino moviegoers with reviews written in a voice that is uniquely Pinoy.